We finally return the favor to our Abu Dhabi crew by driving all the way to the capital. Our meeting spot was Yas Island and then we took another cruise straight to the corniche road. Hopefully our next long distance drive will be for more twisty and windy. Nevertheless, that was some meaty promotion we pulled off for Toyota. They should encourage us to make more of these events. The Subaru BRZ has officially arrived to the UAE. 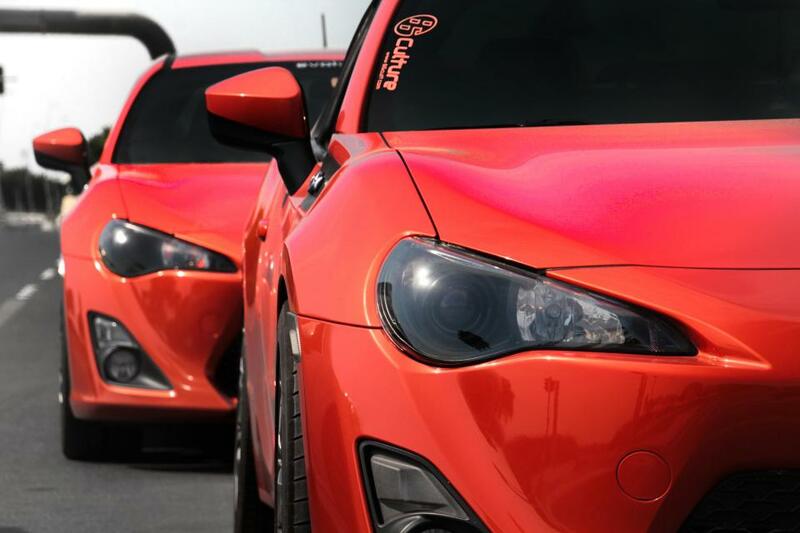 Tensai Tuning visited the Abu Dhabi dealer and took the following shots. Drive Arabia confirms that they are selling a single model, for AED 126000, which is the equivalent of the mid-range Toyota 86 model priced at AED 115000. This doesn’t sound right and the least we could ask for is a base model BRZ that sits somewhere below AED 110000. 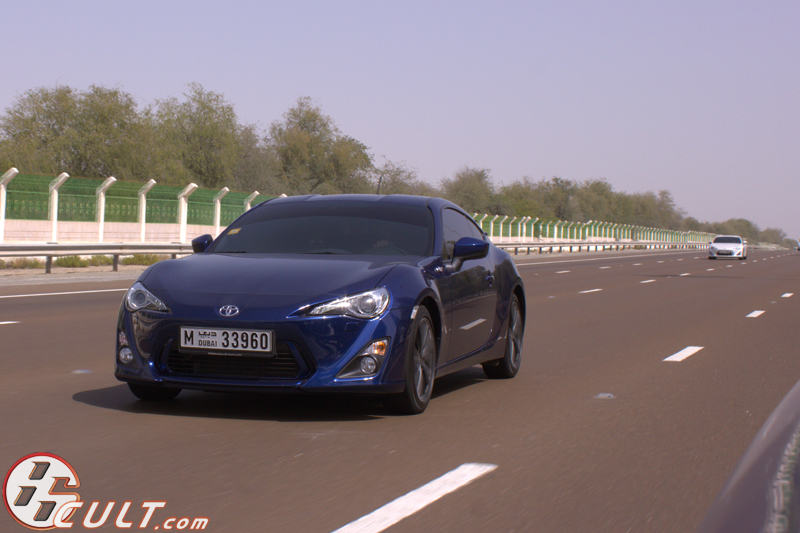 The BRZ also officially arrived in Oman & KSA; its a matter of time we hear stories from our connections in those regions. After a couple weeks since the Middle East Motor Tuning Show was held in Sharjah’s Expo; Gulf News have been releasing stories about police confiscating and ‘permanently’ impounding modified vehicles in Sharjah along with crackdowns on modified cars in Abu Dhabi. In the past, reports from several local publications endlessly bombarded nothing but the idea that modifying your own personal vehicle, in anyway, is considered a sin. None of these publications really bothered to ask the right questions or provide any coherent answers regarding this pressing issue. Questions such as: What are the criteria for owning a modified vehicle? How are modifications illegal while they can be purchased legally from vendors or suppliers? What about reckless driving?